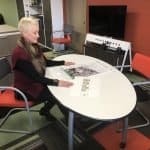 Systems Furniture’s product selection goes beyond the traditional desk and task chair office furniture. 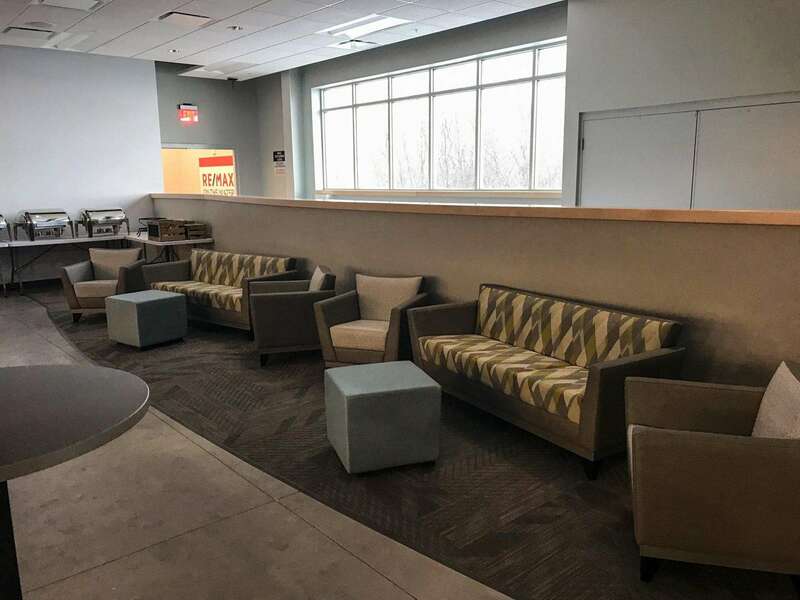 We prove that every day with a host of creative solutions that work in and out of the office environment; including hospitality furniture, lounge chairs, signage and wallcovering. 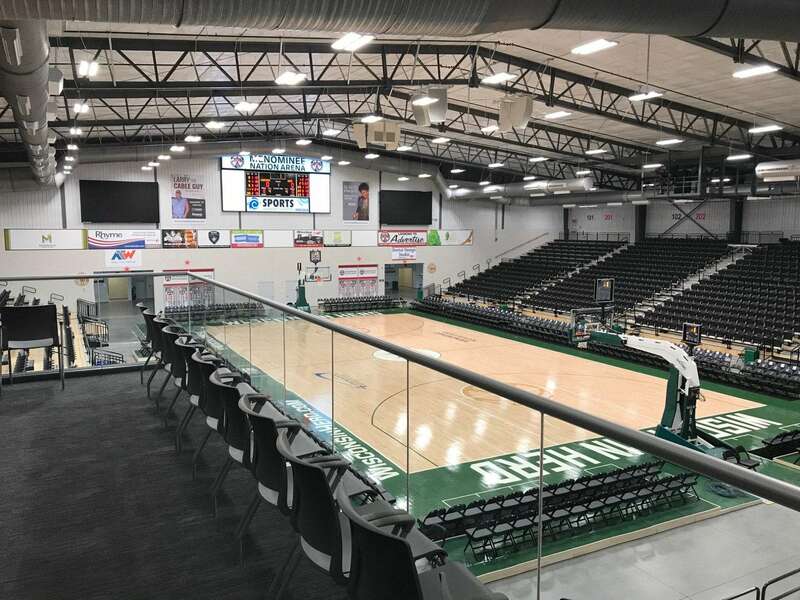 A prime example is our recent work at the new Menominee Nation Arena in Oshkosh, which is home to the Wisconsin Herd, an affiliate of the Milwaukee Bucks. 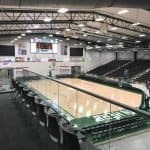 While most of the action is focused on the court of the 3,600 seat arena, many of the unique amenities that fans are enjoying are the result of the collaboration between naming rights sponsors, the building architect, contractors and Systems Furniture account manager, Kerry Gille and senior interior designer, Stacy Eastman. 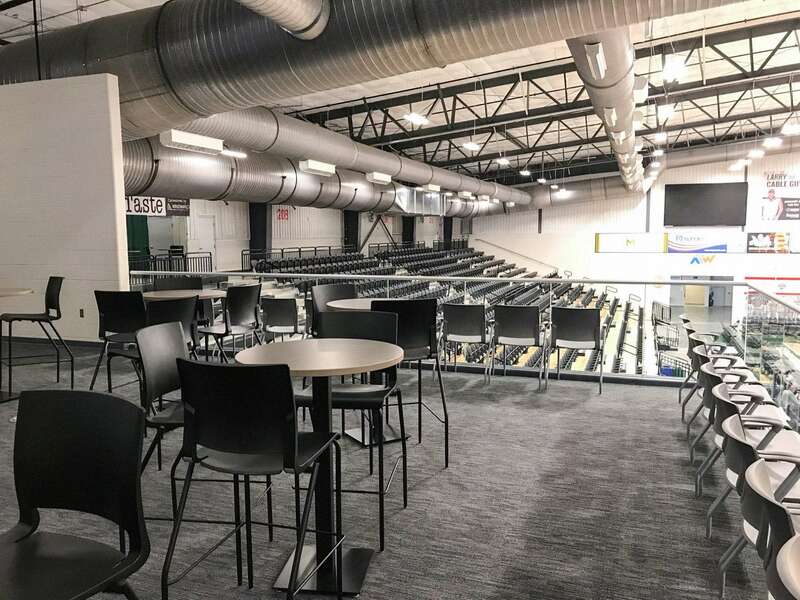 Chairs that make a statement – Naming sponsors, the Menominee Nation and Verve Credit Union, wanted to brand their club spaces in a unique way. 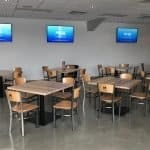 Café chairs and bar stools were specially manufactured with their logos to highlight each sponsor. Wallcovering that tells a story – The history of the Menominee Nation is depicted on a one-of-kind wallcovering which was created using photos from the Tribe’s archives. 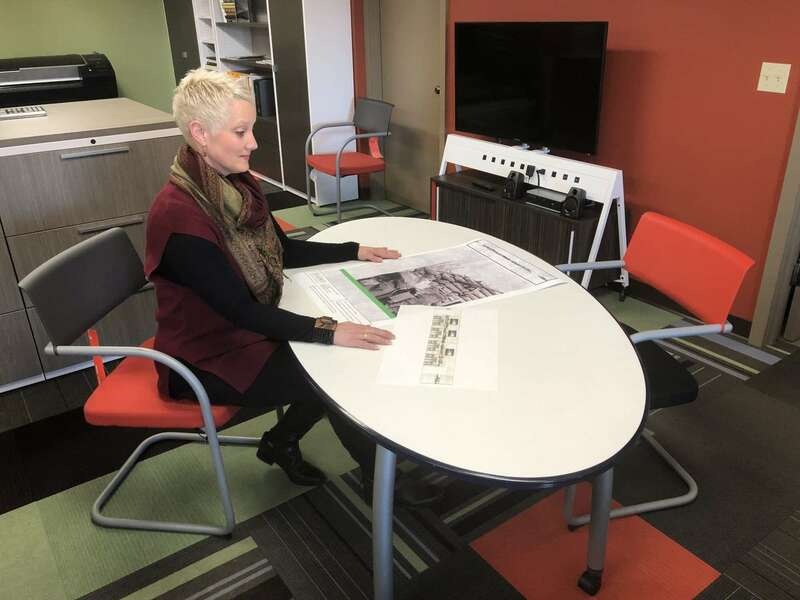 Stacy Eastman worked with a local company to scan the photos and the wallcovering manufacturer to fit the wallcovering to the requirements of the room. 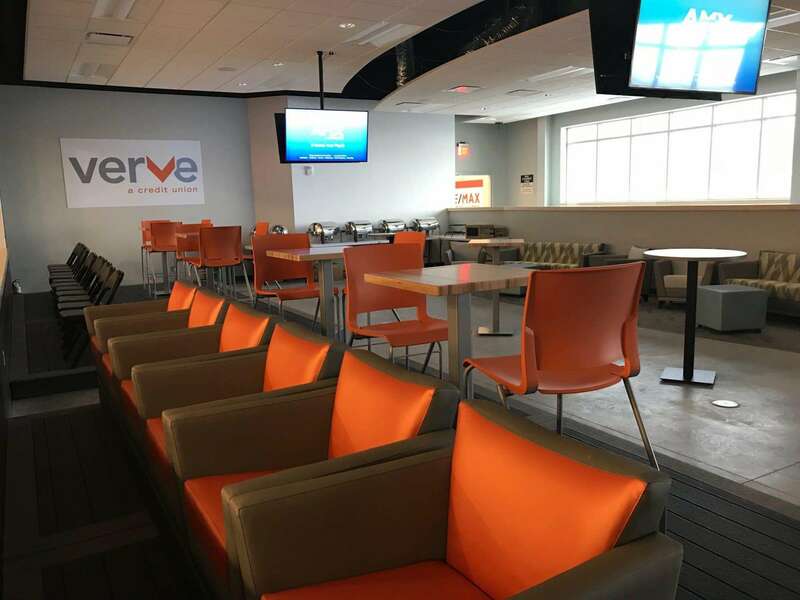 Seating for comfort and flexibility – Premium seating in the Verve Credit Union space required comfortable lounge chairs and the ability to easily move them when the space is used for rental events. Arcadia’s Huddle chair comes with casters for mobility. The SitOnIt Rio chair added general seating and because the chairs are stackable, storing them is simple. 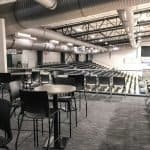 And yes, office furniture, too – The arena needed several offices and a conference area and Systems Furniture’s selection of Knoll Dividends and Great Openings office furniture scored both in fitting the space and requirements of the team and arena staff. 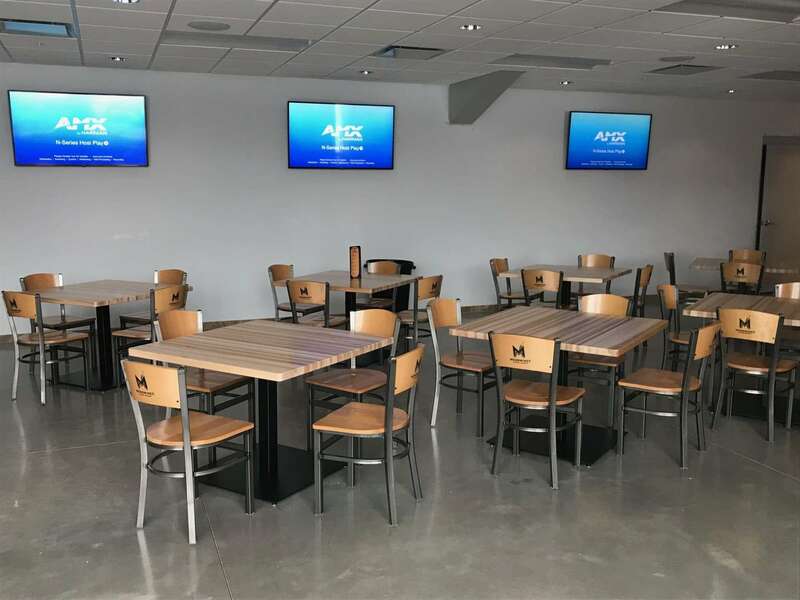 Systems Furniture’s interior designers and account managers are a great team asset for project managers in Oshkosh, Green Bay, Appleton, the lakeshore and northern Wisconsin. 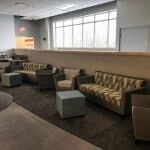 Our expertise includes education furniture, government facilities and health care clinics. Ready to think outside the box? Our website is a good place to start. Fresh ideas are just a phone call away at 920-336-1510. 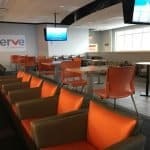 Next Next post: Where is the Best Place to Work in Your Office?